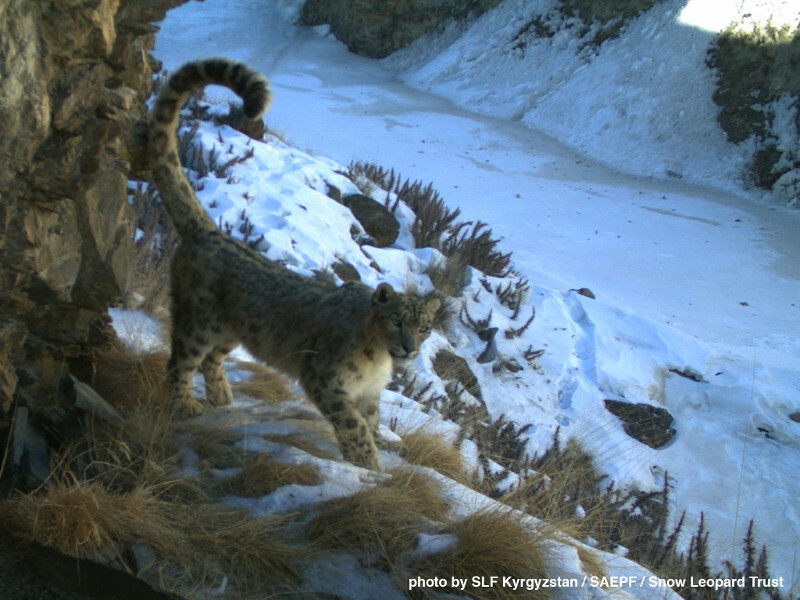 The Snow Leopard Trust’s mission is to protect the endangered snow leopard and its mountain habitat through a comprehensive systems approach that addresses the needs of local people and the environment. The Trust was founded in 1981 by the late Woodland Park Zoo staff member Helen Freeman, as a direct response to the threats that faced the cats in the wild. The Trust, which started with a budget of just under $2,000 and a few dedicated volunteers, now boasts more than 50 staff worldwide and an annual budget of over $1.5 million, all focused on preserving and protecting the endangered cat. The Trust was one of the first conservation organizations to pioneer community-based conservation, in which the economic and social needs of the communities are addressed as part of conservation solutions. The flagship community-based conservation program, Snow Leopard Enterprises, was founded in 1998 and has since grown to become the largest snow leopard conservation initiative in Mongolia. The program has a direct link to biodiversity conservation, directly addressing threats to snow leopards by alleviating poaching, increasing livelihoods of local communities living in snow leopard habitat, incorporating regional land-use planning and developing sustainable partnerships with local governments. The Trust currently supports field offices in China, India, Mongolia, Kyrgyzstan, and Pakistan, accounting for more than 80% of the world’s snow leopards and snow leopard habitat. The Snow Leopard Trust is guided by the long-term priority goals of the Snow Leopard Survival Strategy. The purpose is to identify and focus on model landscapes in each of the five core countries and, within those landscapes, develop comprehensive conservation systems that are effective and resilient. The ultimate goal is to support healthy and growing populations of snow leopards and prey species in some of the richest, most important habitats within the range. Snow leopards belong to the family Felidae, which includes 36 cat species. Researchers estimate between 3,500 and 7,000 snow leopards in the wild, exact numbers not known because the cats are elusive and inhabit harsh, remote habitat. They are distributed throughout the high mountains of Central Asia. In summer, they range in high alpine meadows and rocky areas at elevations of 8,900 – 19,700 feet, usually sleeping in rocky caves or crevices, their long tail (almost as long as their body) serving as a muffler protecting their noses and lungs in the intense cold. Snow Leopard Trust’s innovative Snow Leopard Enterprises program is a cooperative handicraft-based community partnership in several Asian countries, helping herders make and sell fine wool handicrafts to increase their income. Recently, 257 families in snow leopard habitat in Mongolia made products for SLE. On average, each household was able to earn roughly $157 in extra income during the year, an increase of approximately 66%. This income helps families offset the losses they faced to livestock living alongside snow leopards. Handicrafts were sold in over 150 retail outlets in the US and internationally. Woodland Park Zoo's snow leopards can be found in the Australasia biome. Under the Species Survival Plan conservation breeding program the zoo has welcomed numerous litters of cubs over the decades.